A thrilling continuation of the Red Queen. Red Queen left me wanting more – especially wanting to find out if the young, idealistic rebels win out over the existing government. Nemo’s World answered my desire and more. I found it an engaging read that had plenty of action but also well-thought-out details of what might make an ideal system of governance which would grant the most freedom to the most people and really allow the human race to reach its fullest potential. We can only hope that the future will bring us young rebels as envision by the author’s wonderful tale. I was wrong. This volume takes off from the ending of Red Queen, and fully fleshes out the skeleton of ideas from the first volume. You start out wondering how they could possibly make things work, and they succeed. Great expansion of both the hard science and the social science, epic struggle between Darkness and Light, and just enough teases to make you eager for the next installment. 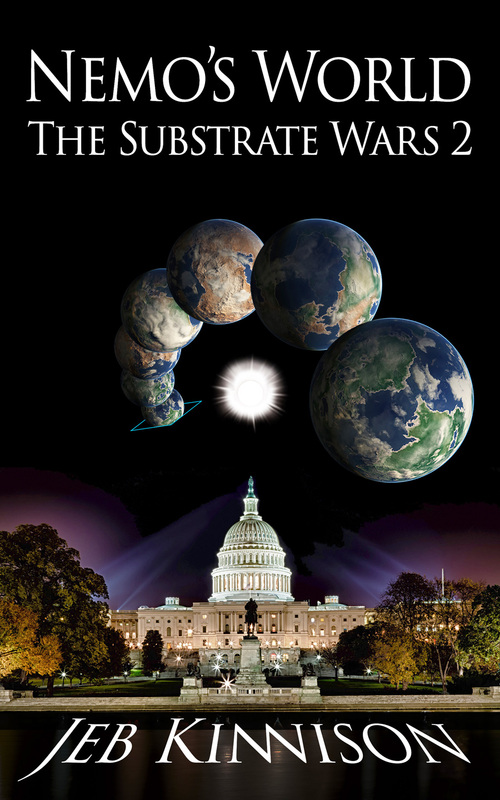 Posted in Books, Government, Science Fiction and tagged artificial life, homeland security, nemo's world, nemo's-world-the-substrate-wars, personal freedoms, quantum gateways, quantum transport, red queen: the substrate wars, review, substrate wars on March 19, 2015 by Jeb Kinnison.